The Methow Valley, in north central Washington, extends from Pateros to Mazama. Winthrop is located in the northern portion of this valley at MP 193 of SR 20, the scenic North Cascades Highway. Our website provides information on accommodations, restaurants, things to do and visitor information. We welcome you to Winthrop, a great Washington vacation destination with a Western flair. Wolfridge Resort is a four season recreational resort located in the beautiful Methow Valley near Old West Winthrop in Washington State. Come stay at Wolfridge for your Winthrop lodging! Our serene riverside setting on 60 beautiful acres offers a peaceful natural environment for complete relaxation, inspiration, and headquarters for exciting recreation. Hiking, mountain biking, cross country skiing, river rafting, fishing and artistic pursuits can also be enjoyed right out your door amidst awe inspiring scenery. In winter, the Methow Valley is well known for its sunshine and powder snow, providing the best cross country skiing, alpine skiing and winter sports to be found anywhere. Wolfridge offers a variety of cabins and rooms to meet your lodging needs. Give us a call! We are looking forward to a fabulous summer at Wolfridge Resort!! The solar heated pool is up and running, as is the hot tub. The river is a great place too cool your feet and fun for the dogs and kids to play in the mountain snow runoff. We hope you come join us at Wolfridge Resort this summer. What a year it has been at Wolfridge Resort!! So many projects have been completed and more on the way! Our glorious river rock surrounded hot tub is open year round. What an opportunity to sit under the custom built log gazebo and soak away what ails you! This past summer the pool was open from May through September. It was heated entirely by solar panels and enjoyed by many! 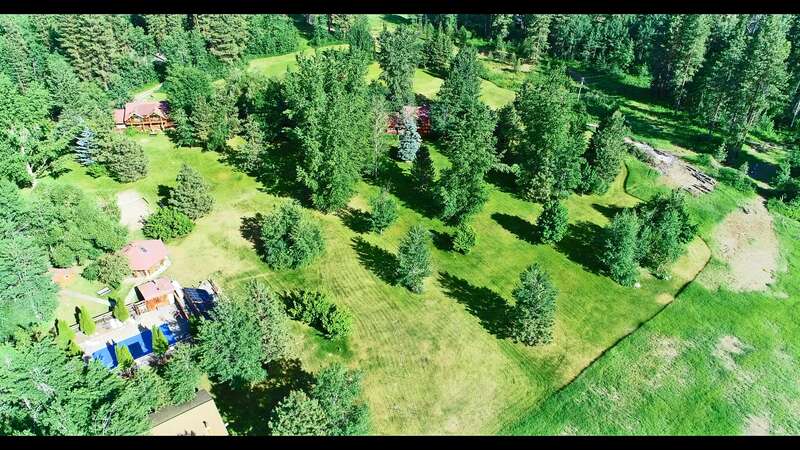 Our over 40 acres of open space is unique in the Methow Valley. It is an experience you won't forget and one you will return to year after year. Winter or summer, Wolfridge Resort is a great place to visit! Wishing everyone happy holidays!! The snow keeps coming and the ski trails are calling!! Ski from your door at Wolfridge Resort!! Thank you to Methow Trails for grooming a beginners loop around the Wolfridge Resort property. It is an easy loop to work out the kinks or let the kids try something new. Methow Trails also has fat bike trails and many places in town have fat bikes to rent. The centrally located hot tub is up and running. A great place so soak away the miles under the rustic log gazebo. The hot tub is now open and ready for use!! It is a great place to soak and watch the stars! The pool is open and ready for use at Wolfridge Resort!! The pool will be open through mid to late September, depending on demand. We would love to host your next event!! Be it a wedding, family reunion or even a birthday party for your favorite 8 or 88 year old!! Wolfridge has the perfect place to celebrate your big event!! Work has begun on the hot tub. Updates to come!!. 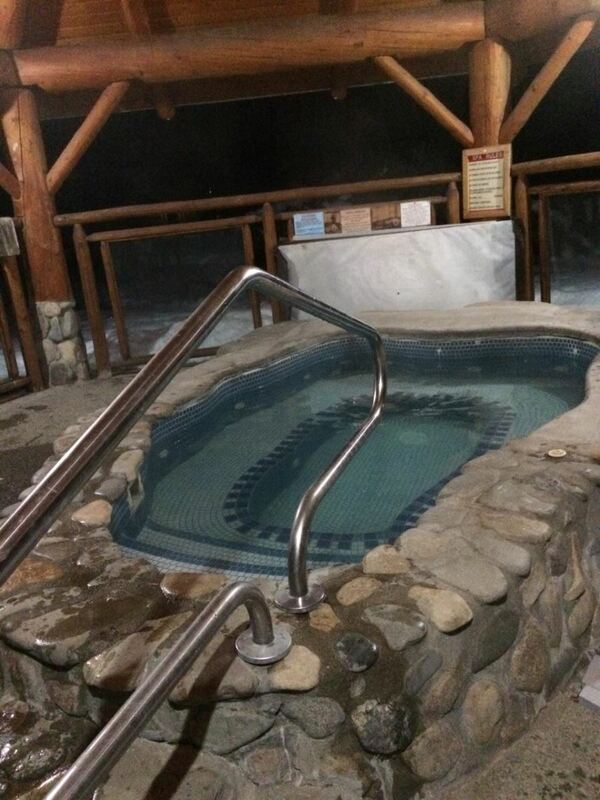 Picture yourself in our river rock surrounded hot tub after a day of skiing or mountain biking!! The playground structure is complete!! 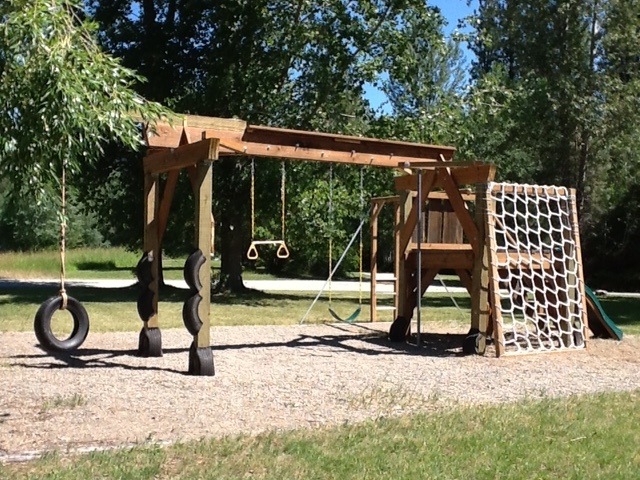 We resurrected pieces of the original play structure and added some new pieces. 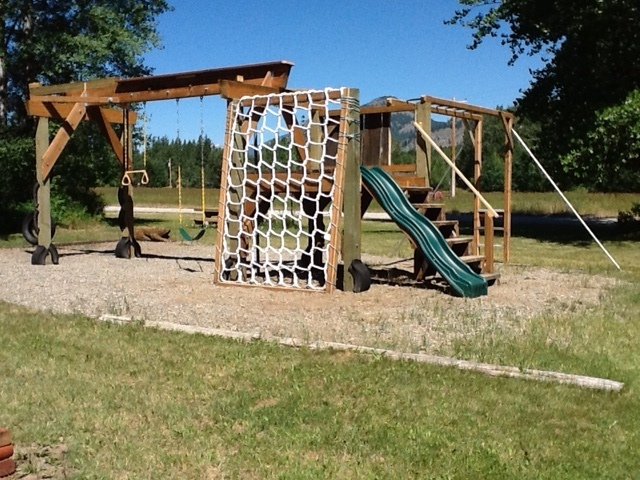 The new play structure at Wolfridge Resort has cargo net climbing nets, a slide and new swinging toys! A great place for the kids to play!! It is great time to visit the Methow Valley. Wolfridge Resort has cabins and lodging for a romantic weekend or a large family reunion.